Lenovo and ASUS are readying new Google Chromebooks that will sell for as low as US$149, according to Taiwanese tech industry journal DigiTimes. This new pricing low for notebooks is thought to be thanks to the cooperation of China-based Rockchip – a firm well known for its price busting mobile processors. The upcoming Chromebooks from Lenovo and ASUS are both said to be 11.6-inch devices. Priced before discounts and promotions, at US$149 from launch, these will significantly undercut Acer's best selling C720 Chromebook which starts at $199. DigiTimes says that the upcoming Lenovo Chromebook will be configured with the Rockchip RK3288 processor. This is a powerful quad-core ARM Cortex-A17 based SoC which runs at 2GHz combined with 2GB of RAM, packs a Mali-T764 GPU, offers fast connectivity options and 4K video decoding. Whilst the ASUS machine's processor isn't specified it is implied, in the report, to be the same. The Lenovo Chromebook is expected for 2014/2015 New Year time, while the ASUS example will definitely be a 2015 launch. The pricing of these 'laptops' is expected to put further pressure upon Microsoft which is trying to get Windows 8.1 laptops out from manufacturers at prices comparable to Google's Chromebooks but with the Microsoft devices and services ecosystem 'advantage'. Earlier in the week we saw a Reuters report concerning Rockchip and Intel collaboration plans. It suggested that Rockchip might terminate its ARM SoC product line in favour of making Intel chips. Rockchip already worked with Intel this May to make Intel-branded SoFIA SoCs. While Chromebooks can simply use the ARM or Intel architecture to run the same apps an Intel Rockchip might allow Microsoft to bring its 'full fat' Windows to laptops approaching this new US$149 low point. Microsoft Surface Studio 2 hits UK, starts at £3,549 Gigabyte intros Aero 15-X9 and -Y9 laptops with RTX graphics Nvidia teases GeForce GTX 16 series gaming laptops PC Specialist Vortex S1 Has Samsung been chosen for Intel Xe GPU manufacturing? Will these be the first fruit of the Rockchip-Intel alliance? Erm, they are arm based. We will have to see how well these do against the recently announced Windows 8.1 HP Stream Laptops, I believe they started at $200? Think I would possibly prefer a Full OS, although I imagine the Chromebooks may run faster due to the light OS. Hmm, I wonder how easy it'd be to ditch ChromeOS and put on a Linux distro? If relatively straight forward then I might be interested. Fancy a light-weight Linux box, but ChromeOS leaves me cold. 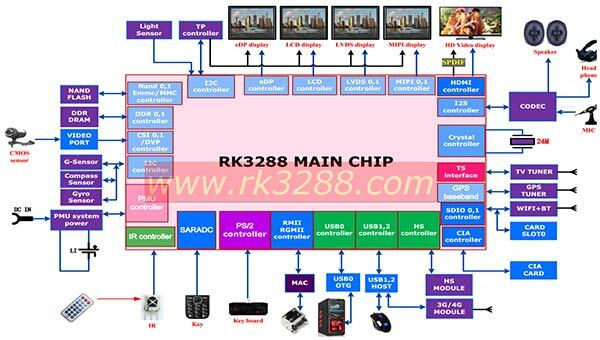 Thanks to Rockchip processors. Will these be the first fruit of the Rockchip-Intel alliance?. Tempting for a lightweight word processor/browser… After all for personal use I've found google docs+spreadsheet perfectly adequate. Be interesting to see how the MS stuff competes - Got to love competition!